Many of the technologies we make use of on a daily basis would be considered magic to most people two centuries ago. Even today, many people wouldn't be able to explain to you how some modern devices function. But not only is the science behind modern technology not always understood, it isn't even appreciated. Here are six wondrous technologies that we take for granted - and complain about. "Ugh, the wireless signal here is so weak." The great network of networks is a magical wonder unto itself, but even the way we access it is incredible. Information - text, images, videos - is encoded into a signal and sent through wires and sometimes thin air for us to capture and decode. In the days of yore, dial-up was the common form of Internet access. A modem over at your Internet Service Provider would take digital data, modulate it into an electrical signal, and transmit that signal over telephone wires, whereupon your modem would receive the signal and demodulate it. The word modem, itself, is shorthand for "modulator-demodulator." Today, broadband is the new norm in most places. Rather than telephone wires, most broadband uses coaxial, fiber optic, or twisted pair cables to carry more data. DSL actually still uses telephone wires, but unlike dial-up, it sends the data at higher frequencies, resulting in faster speeds and the ability to simultaneously use the Internet and telephone - no more horrid modem screeching sounds! Wi-Fi is able to wirelessly broadcast the modulated signal across local area scales using radio waves emanating from an access point, like a router. A mobile broadband modem or data card can plug into a laptop to allow access to wireless Internet, and most mobile devices nowadays include built-in means of wirelessly accessing the Internet. So the next time you get irritated by slow Internet speeds, take a moment to appreciate the fact that you are surrounded by invisible information beams. Your computer is a magic box that makes your life better. A laptop is a portable computer, and a smartphone or tablet is an even more portable computer that is still more powerful than most of the computers that were around 25 years ago. At the heart of a computer is a piece of hardware known as the central processing unit (CPU), which executes programs - sequences of instructions. While programs are written in a way that is easy and convenient for a trained human programmer to read, they are generally converted to a series of 1s and 0s for the computer to read: binary code. These 1s and 0s are just the representation of a "bit," which is the most basic unit of information in computing. 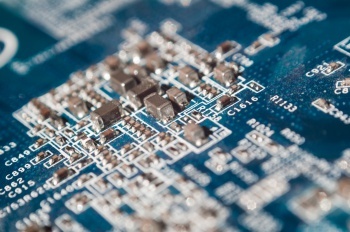 On the hardware, every bit is represented by a tiny electrical circuit - computers can have thousands to trillions of these. A bit - short for "binary digit" - can only have two values (typically represented as a 1 or a 0), and this corresponds to turning one of those circuits either on or off. Computers execute billions of calculations per second to interpret binary code. The convenience, entertainment, and capabilities computers add to our lives have become almost indispensable in today's world. The next time you get annoyed at your computer, try going a week with only an abacus.